The Proteas was the representative side of the South African Rugby Football Federation, one of three racially segregated rugby union governing bodies in apartheid South Africa. 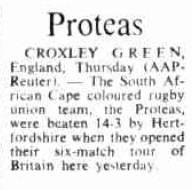 In December 1971 the Proteas embarked on a six-match tour of Britain - the first "Coloured" rugby team to tour abroad. Arriving on the 13th, they were met at the airport by protesters from anti-apartheid movements. 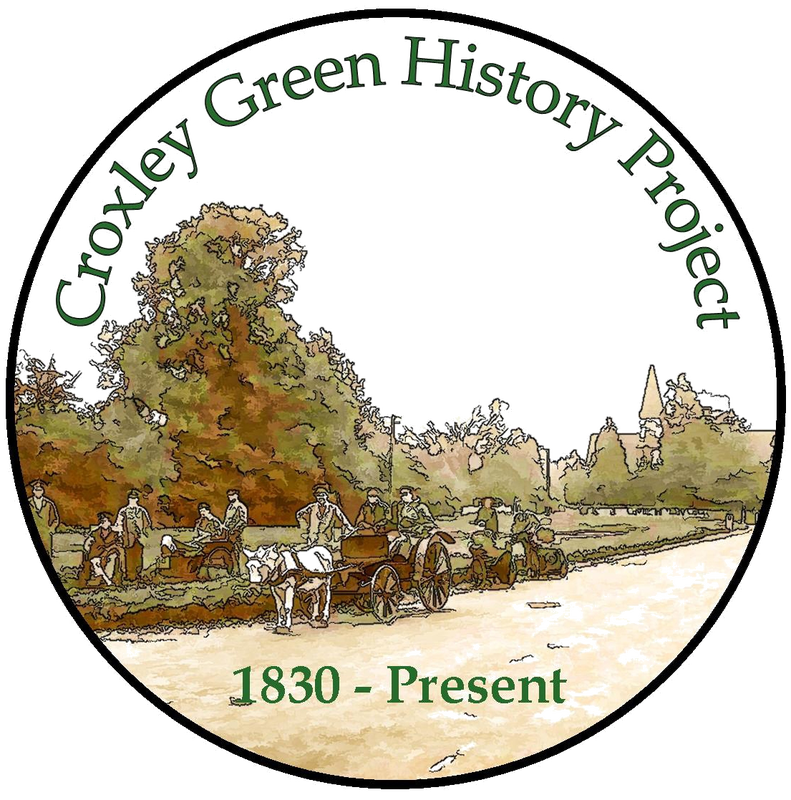 The Proteas lost their first match 3-14 to Hertfordshire at Croxley Green on 16 December, after the home side had led 10-3 at half-time. A fight broke out during the game, which the press blamed on the Proteas' tactic of tackling at head height. The tour ended with a 33-3 loss to the United Hospitals on 2 January 1972 in London. Charles Loriston, the Proteas' team manager, explained that the purpose of the tour was " 'to test our strength' ". He said that the two wins, a draw, and three losses proved that " 'we have the technical know-how and enthusiasm to build strong opposition within the next five years' ". 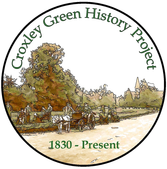 The wins came against county side Oxfordshire (33-5) and a London team (19-12). Loriston said that the next steps would be to play against white teams that tour South Africa, such as England's intended visit the next year; to play white South African teams; and then move towards integration of sports. He concluded that the Proteas had found, despite their initial scepticism, that they were treated differently than at home.